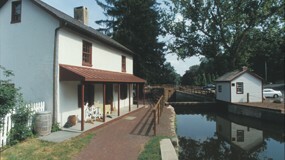 America’s history is reflected along the entire 60-mile length of the Delaware Canal. Original locks and aqueducts remain. Visualize the time when mule-drawn boats traveled the Canal and locktenders stood ready to help them continue their journey. Canal boats carried coal and other cargo from the northern reaches of Pennsylvania to more populated areas in the south. Centuries-old homes, picturesque villages, historic inns, and general stores evoke the days when the Canal fueled this country’s Industrial Revolution. Its boatmen and muletenders sought rest, refreshment and fellowship along the route. 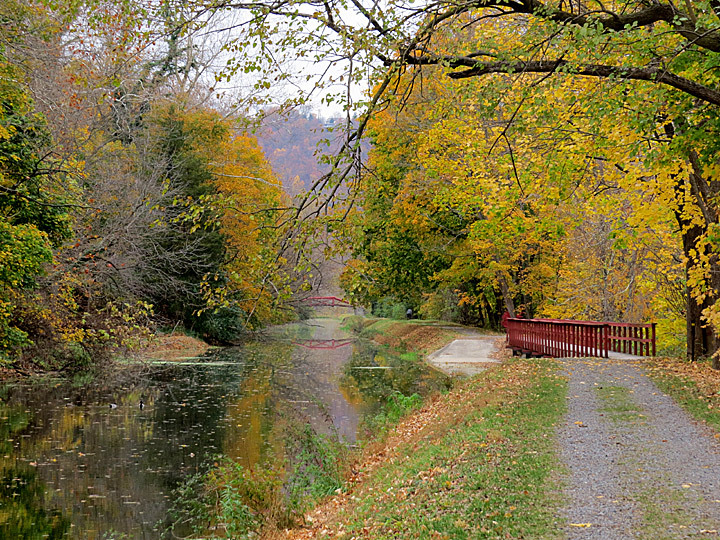 The towpath along the Delaware Canal provides a level trail for walking, jogging, biking and horseback riding. Boat accesses allow for relaxing canoeing and kayaking. 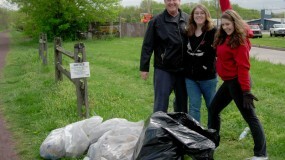 Picnic sites are available in Delaware Canal State Park. In winter, ice skating and cross country skiing are popular along the Canal.